On this Path Through History Weekend, walk through Roberson’s past. 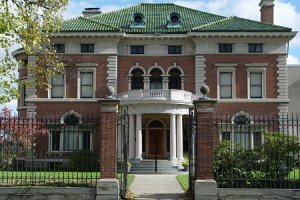 Take a guided tour of the Roberson Mansion with special access to locked areas of the museum. Have you visited Roberson Museum in the past when the Link organ was in use? See this organ and its equipment that is still hidden behind locked doors up close in this extended mansion tour. We will also have our Mystery Object Collection available for handling. Do you think you know what a watchmen’s rattle looks like? Examine it and other mystery objects while your here and see if you can guess what they were used for.